The Same Old Story sessions (which took place at Pete Townshend's Broadwick Street Studios on May 13 1984) yielded seven tracks, but this was a bit short for a CD. In February 1992 Dave Clayton was helping Rabbit archive his tapes and they found the Same Old Story reels. Dave told Rabbit that 'this should really be heard on compact disc' - and so they decided to do it. They picked some other stuff to hope to add to the set but the sound quality of some of it wasn't great. 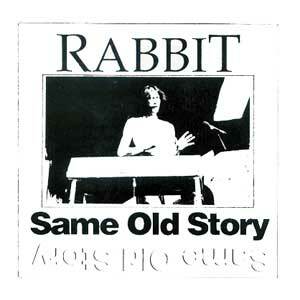 Eventually they added a further seven songs recorded at Rabbit's home studio. This brings us up to 1993 - an album a long time in the making, but definitely worth the wait!